Officer Paul Dubay issued a disorderly conduct warning to a woman on Leaha Lane following a complaint of loud music Nov. 3. A woman on Deering Road told police on Nov. 24 that she had located her pigs. Brittany P. Freeman, 21, Haskell Street, Westbrook, on Nov. 7 on charges of domestic violence reckless conduct and domestic violence assault, in Gorham. Kelly J. Pompeo, 45, New Portland Road, Gorham, on Nov. 7 on charges of violating condition of release and violation of protective order, on New Portland Road. Shawn H. Bubar, 35, Goshen Road, Windham, on Nov. 9 on a charge of violating condition of release, in Gorham. Robert L. Talbot, 61, Sixth Street, Portland, on Nov. 9 on a charge of operating under the influence (alcohol), on Main Street. William J. Tapley, 34, Dunnell Road, Buxton, on Nov. 9 on a charge of domestic violence assault, on Blue Ledge Drive. Seth E. Weed, 39, Tucker Drive, Gorham, on Nov. 12 on a charge of violating condition of release, on Tucker Drive. 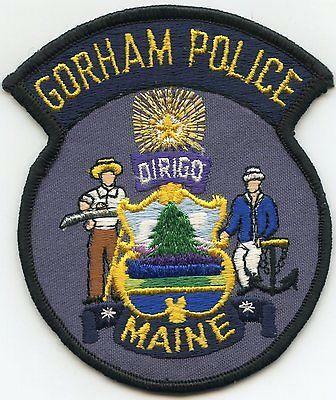 Scott C. Elwell, 47, Main Street, Gorham, on Nov. 18 on a charge of probation hold-officer, on Main Street. Thomas N. McLeod Jr., 37, Weeks Road, Gorham, on Nov. 19 on a charge of probation hold-officer, on Weeks Road. Michaela C. Davenport, 39, Main Street, Brownfield, on a charge of hold – house for other agency, on Bernard P. Rines Highway.